OPPO, in partnership with Star Magic, features an exhibition basketball match between two teams composed of Star Magic’s male artists. As one of the leading trends in Philippine basketball, the game not only promotes sportsmanship and camaraderie among Star Magic artists, but also serves as an opportunity for Star Magic and OPPO to treat their loyal supporters. 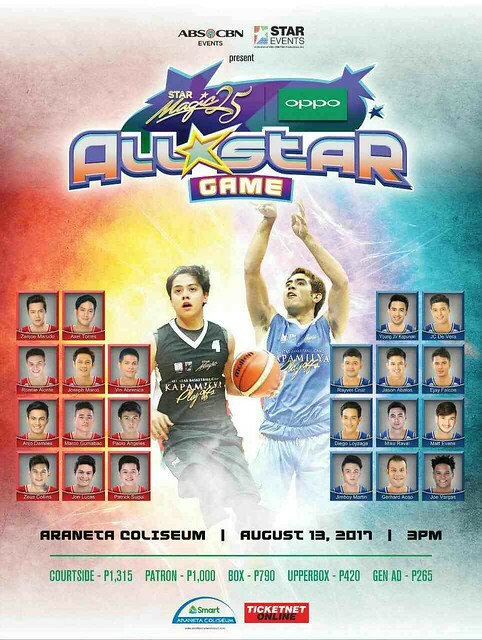 The Star Magic OPPO All-Star game will be headed by Kapamilya heartthrobs, Daniel Padilla and Gerald Anderson, set to take place in Araneta Coliseum on August 13. Zanjoe Marudo, Joseph Marco, Vin Abrenica, Zeus Collins, Anjo Damiles, Marco Gumabao, Patrick Sugui, Jon Lucas, Paolo Angeles, last year’s hailed MVP, Axel Torres, and OPPO’s very own ambassador Ronnie Alonte are present for the defending Champion- Team Daniel. Which team will earn the championship title? Will Team Daniel be able to defend their title? Or will Team Gerald finally get the throne?